Apart from being a centerpiece of every university’s freshman seminar class, Hobbes’ philosophy has also found itself the subject of American filmmaker Jeremy Saulnier’s, ever-growing body of work. While the motivations for violence differ between the two films, they both borrow themes from Hobbes’ writing. Blue Ruin (2013) examines the violent lengths a man will go to for revenge and Green Room (2015) focuses on the brutality rooted in a group’s desperate attempt to survive. The characters in each film enter the state of nature willingly by rejecting the “social contract” (Blue Ruin) or by being unwillingly dragged into it (Green Room). 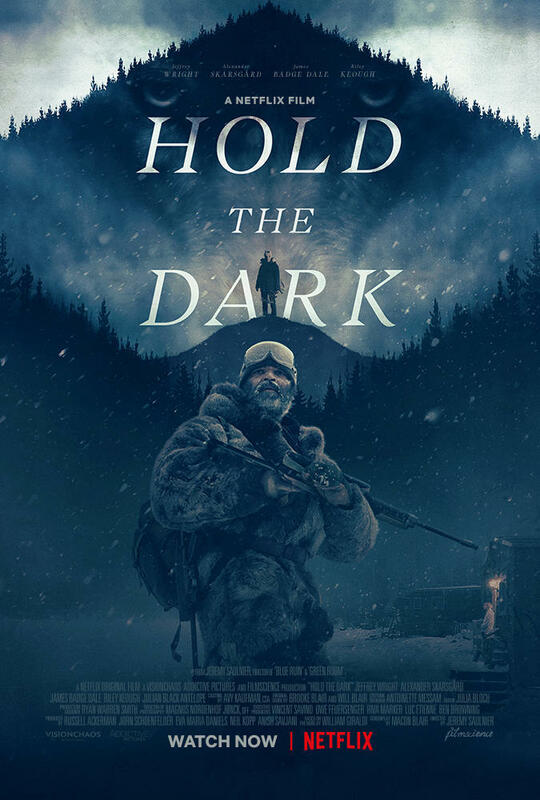 Saulnier’s latest work, the Netflix produced Hold the Dark (2018), focuses on similar themes. However, while his previous work takes a simple and straight forward approach, this year’s effort is decidedly more atmospheric and meditative on the subject. It’s deliberately slow pace, at times convoluted plot, and ambiguous ending are guaranteed to divide audiences. Some audiences might praise it for its philosophical approach to the nastier side of humanity and others might just call that a pretentious excuse for the film’s lack of characterization. For me, the film falls somewhere in between. In terms of its themes, the film is best in its portrayal of protagonist Russel Core; played magnificently by Jeffery Wright. Core is an author and wolf expert who’s been hired by Medora (Riley Keough), a woman living in an isolated Alaskan village, to hunt and kill the wolf who killed her son. In his first scene, Russel is shown in an empty apartment surrounded by wolf paintings. It’s later revealed that he’s long been estranged from his wife and daughter, the latter of whom teaches in Anchorage and is his main excuse for coming. Core’s self-imposed isolation is juxtaposed against Medora and later on, her husband Vernon’s (Alexander Skarsgård) lifetime of isolation. Medora asserts to Russel that Anchorage isn’t really Alaska. Likewise, in his scenes at war, Vern is portrayed as a hunter who’s there for sport instead of his country. Additionally, another villager named Cheeon (Julian Black Antelope) says he’s never heard of San Diego. All these characters openly reject the laws, governments, and systems of power that the rest of us find as commonplace and so they are more susceptible to the dark. Something Russell is desperately trying to hold back. Wolf imagery is strong throughout the film. In his first trek into the wilderness, Russel comes across a wolf pack eating one of their pups. As the film progresses it becomes impossible not to draw parallels between the wolves and the main characters from the village. Their isolation has brought them closer to their animalistic side and their need to preserve the pack. Outsiders have no place. This sentiment is most indicative when Cheeon opens fire on an entire police force with an M60 machine gun. Officers are brutally and helplessly cut down in a brutal hail of bullets. The climactic shootout drips with as much fear as it does blood. This is the kind of brutality Saulnier has become known for and its intensity hasn’t lost a step. Throughout the massacre there’s no soundtrack, only gunfire and screaming. Apart from being a visceral, disturbing, and engaging piece of filmmaking, it serves as a catalyst for Russel to make a stronger push towards the light. Unfortunately, this is as strong as the characterization/plot gets in Hold the Dark. Russel is given just enough backstory to be compelling and complete a satisfying redemption arc. Likewise, the police chief Donald (James Badge Dale) has a wife with a baby on the way. However, the characters committing the majority of the film’s on-screen atrocities are given little backstory and even less development throughout the movie’s run time. Of course, the same can be said about Saulnier’s other works, but their simplicity is what made them enjoyable. Hold the Dark’s burning desire to “be about something,” hurts it far more than it helps. Its philosophical approach to cruelty, is too underdeveloped to be thought provoking. Additionally, many of the characters are entirely forgettable, diminishing the impact of the film’s violence. Hold the Dark is, on the surface, a fascinating thriller. It’s setting is gorgeously photographed by cinematographer Magnus Nordenhof Jønck. 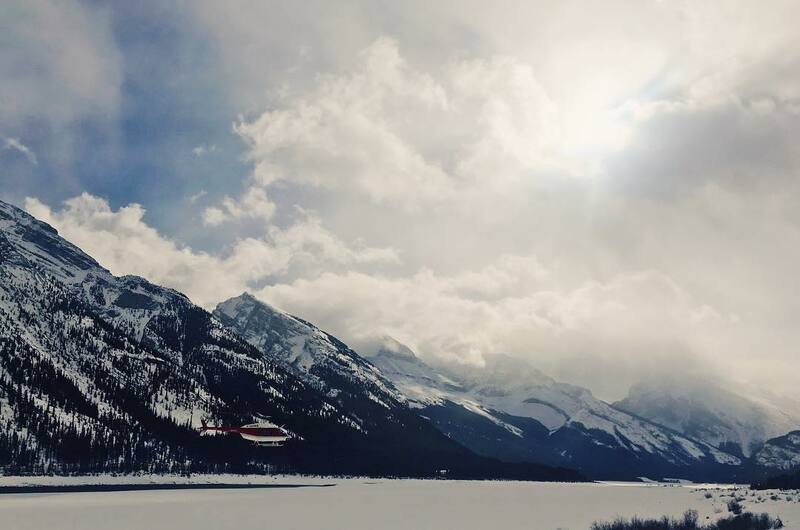 The juxtaposition of the beautiful Alaskan landscapes and bloodshed is particularly striking. Also, for what material they’re given to work with, the whole of the cast turn in excellent performances. However, this is where the film’s strengths end. What we end up with by the time the credits roll, is a genuinely uneven story with underdeveloped themes and characters. It comes cautiously recommended and only for those who are fans of the director as well as his style of filmmaking. The film is currently streaming on Netflix, so curious viewers will have easy access at no extra charge.